Rajasthan Subordinate and Ministerial Services Selection Board (RSMSSB) had successfully organized Woman Supervisor exam for Non TSP area on 29 November 2015. Earlier RSMSSB has invited application for these posts for which this test was held as a part of the selection process. 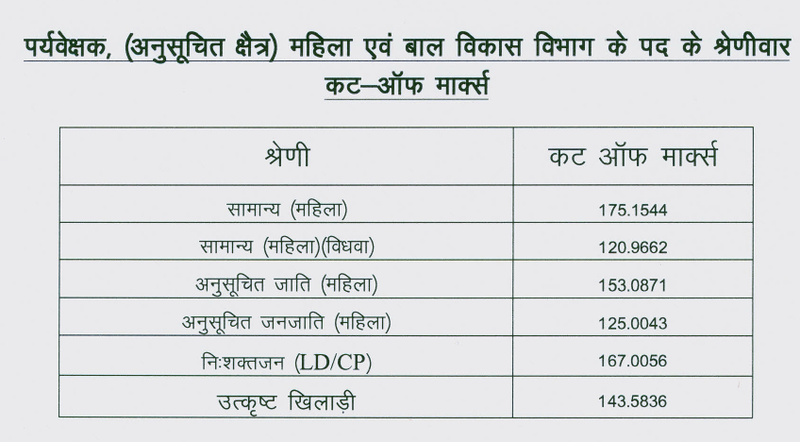 Now Woman Supervisor results had been prepared. 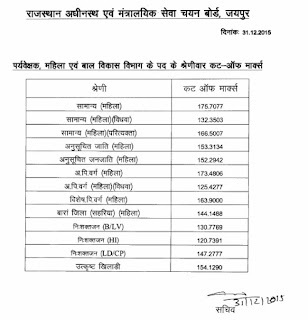 RSMSSB had announced the results of Scheduled area on 07 January 2016. We are going to update you the moment results got declared. Those candidates who had appeared can check RSMSSB Supervisor Exam result from the direct link given below. The written test was held on 29 November 2015. The question paper was of objective type. Questions were asked from General Hindi, English, Mathematics, General Knowledge & Everyday Science. The maximum marks are 200. The test was of 3 hours with 1/3 negative marking. Now the results and merit list had been declared. Now the results had been announced by RSMSSB. 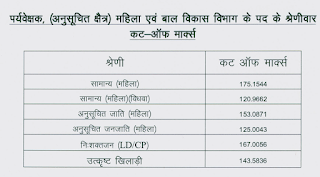 Selected candidates will get the pay scale of 5200-20200 GP 2400. Result date: Result / merit is available for both non TSP and Scheduled area. RSMSSB had uploaded the Woman Supervisor exam results after preparation at rsmssb.rajasthan.gov.in. Candidates can check results easily by clicking on above link as soon as they got declared. A candidate have to score equal to or more than 40% (80) marks to be eligible for appointment. Rajasthan Subordinate and Ministerial Services Selection Board had organized a Written exam for recruitment to the vacant posts of Female Supervisor. To check the result for RSMSSB Woman Supervisor exam, candidates need to visit the direct link provided here. It will let them check the results after announcement. 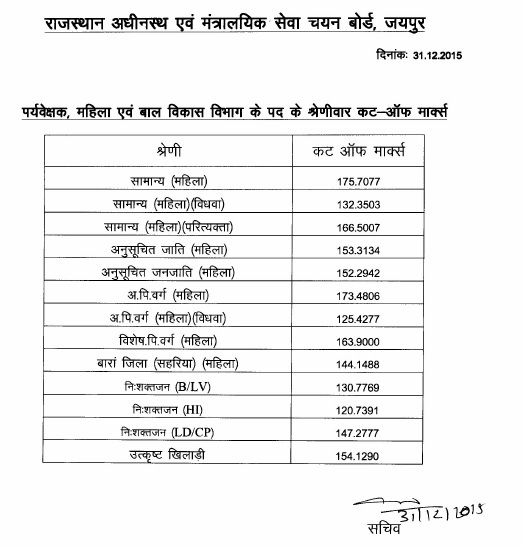 Their RSMSSB Supervisor result 2015 are available in pdf having the list of shortlisted candidates.